2018 was a great year for BWRC. We became an officially registered not-for-profit in the state of Illinois and grew our membership tenfold. We participated in a variety of different club events, fundraisers, and served our community. If 2018 is any indication of what’s in store for our club, we have a lot to look forward to in 2019 and the years to come. Thank you to everyone who made this year so special. We look forward to starting 2019 with all of you! What a fun event this was! When I first heard that folks were going to run a marathon indoors on a track as a relay, I thought, “ugh, running laps around an indoor track? In true BWRC style, the excitement among participants grew as the number of people joining and the number of teams increased. I succumbed to pressure as the call went out for one more person was needed to fill a team. Teams were randomly assigned so each team had people with of variable paces and abilities. The day of the event dawned and it was easy to find the area the BWRC group had claimed as home base. We took up the entire area by the final turn of the track. Each team chose their strategy and the competition was on and there was rivalry between teams! There was a huge cheering section for each and every runner. The cheering as you approached the BWRC group in the fourth turn was deafening. Fun was had by all. BWRC took their second out-of-state road trip for the Carmel Marathon Weekend March 30 through April 1st. 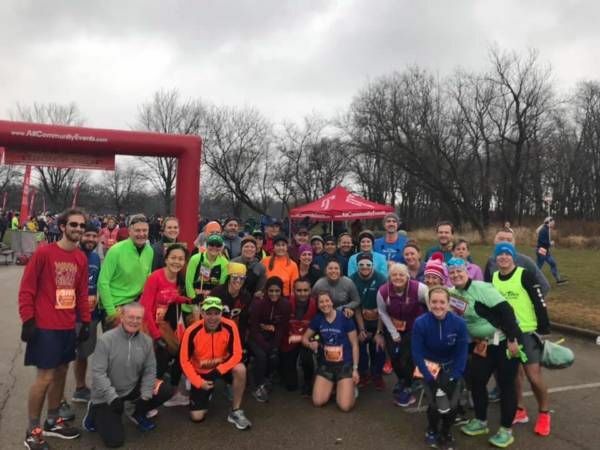 Approximately 25 runners ran the half or full marathon on an unseasonably chilly “Spring” morning. On Friday the team got together for a family-style dinner at Biaggi’s to shake off pre-race nerves and enjoy the good company. We even had a couple of runners (Judi Miko & Mary Klabacha) who had a “homecoming” running in their hometown of Carmel. Many BWRC runners ran new PRs, qualified for Boston, or ran new distances for the first time. 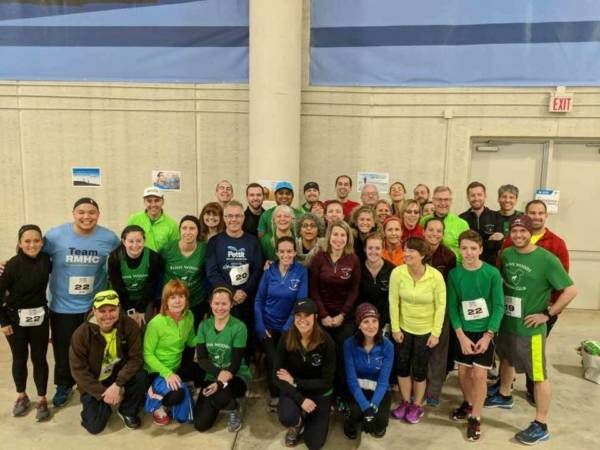 BWRC would go on to also have a group travel back to Indiana in November for the Monumental Half Marathon and Marathon where even more PRs were set; we seem to have good luck in Indiana! BWRC really brought out the volunteers this year! 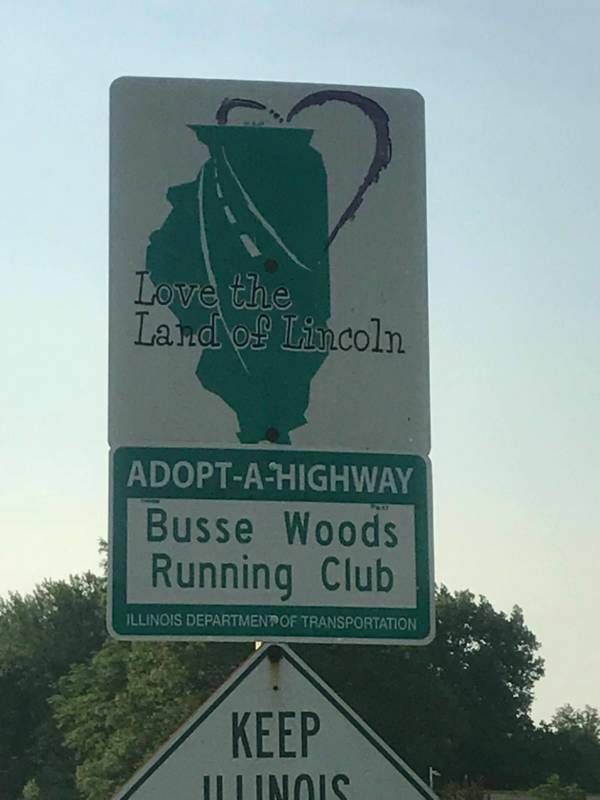 We began participating in the Adopt a Highway Program, where many of our members came out to clean up the stretch of road that lines our beloved Busse Woods. We had a TON of members volunteer during our Couch to 5K program. Our members welcomed, coached, and motivated C25K participants across the finish line of their first 5K. A group of members served beer at Frontier Days and plenty of us volunteered at countless races. Anytime we needed some extra hands, BWRC jumped in, from offering advice on gear to serving as a friendly face to new members on the run to helping load a pickup truck full of coats to donate to those in need in our community. We can’t wait to keep growing our volunteer opportunities in 2019! Couch to 5K is a nationally known standardized program to train nearly anyone into becoming a runner. Comfort zone? Ditch it! Never run before? Not a factor. Can’t do it? Yes you can! You never know what you’re capable of until you try. 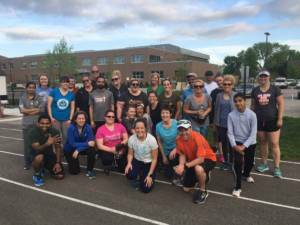 In the Spring of 2018 the BWRC held our first Couch to 5K event. We attracted over 50 adventurous souls to the free program. Each week built on the prior week’s accomplishments to gradually train the participants to run for longer and longer stretches of time. Three times per week these future runners met with BWRC coaches and other group volunteer members to train, encourage, and cheer each other on to the ultimate goal of running the Salute 5K held on Memorial Day Weekend. In the end, runners were made and lasting friendships were formed. 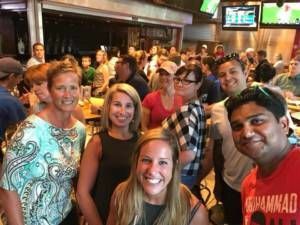 One of the great things about BWRC is that there is almost always something going on, every day of the week—a group run, a fundraiser, a thirsty group of people gathering for some adult beverages. Tuesdays, however, is the day for speed—speedwork that is! Led by our friendly and patient coach John Wall, these Tuesday evening events were definitely something to look forward to. 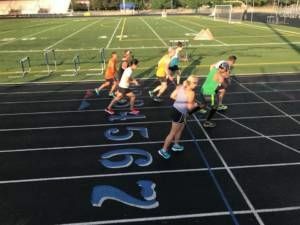 Each Tuesday, we were challenged to a new workout (and on some Tuesdays, we were challenged to figure out what track we were running at), designed to improve our speed and endurance. For several years, I heard my fellow runners sing the praises of speedwork, but I was too intimidated to join, since I’m not the speediest runner. This summer I decided to give it a shot, and I was definitely hooked. I was amazed that I could run a 9 minute pace, and after a few workouts, I could see a difference in my pace and endurance. The workouts always ended up being fun, and those of you who were there always got a little more rest between repeats thanks to my relatively slower pace (you’re welcome!). Besides putting together the workout, John always had fun facts and tips to share with the group, and made everyone feel welcome. And each workout was memorialized by the group photo—we even got photobombed by the marching band! I’m definitely looking forward to the spring and summer speedwork season in 2019! Oh what a day of fun and frolic we had at our home turf, Busse Woods, with our awesome running friends, their families and kids. The picnic was very welcoming including the BWRC tent in the backdrop, the grove nicely decorated with green and white balloons, color-coordinated tablecloths, delicious food choices, drink varieties, cakes, desserts, music and so many game options that were fun for of all age groups in the lush, green laid-back atmosphere! It was a wonderful bash to meet, greet and get to know the families and some newer members of our beloved running gang! The party was very well organized (typical of our board) with volunteering by a good set of people! 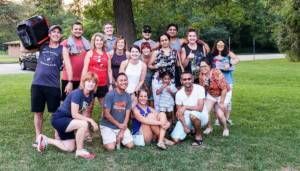 The turnout was great with so many lovely people coming together with loved ones, parents, friends, kids and all their cool spirits that made this an absolutely amazing party in the summer of 2018! The picnic was BWRC’s inaugural one which also celebrated our first birthday. It was an unbelievable get together, crazy with dance, singing, play, and fun. It seemed like this bunch had been together for years and ages to come! As a non-for-profit, fundraising is critical to the success of our organization. We kicked off 2018 with our Super Bowl Pool and followed that up with a March Madness Pool. A large amount of funds were raised through dine and donate programs with local food establishments. 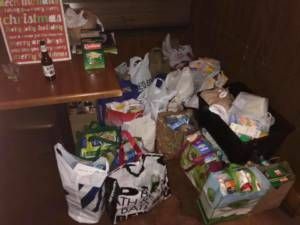 With the support of our membership, their family, and friends, events at Lou Malnati’s, CPK, Granite City, and Tap House Grill brought donations back to the Club from those restaurants. 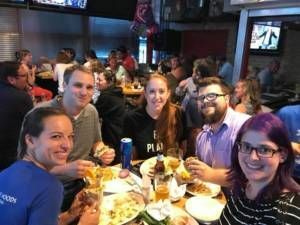 Our biggest fundraiser of 2018 and by far the most fun was our Trivia Night when we packed 80+ members into Gatsby’s on a night filled with fun, games, prizes, food, and drink. The Thanksgiving Turkey Trot competition was a major accomplishment for our running club! We had 120 runners sign up for the competition, which was the largest number for all running clubs. Our team won $2,500 for taking first place in this part of the competition. In addition, our running club had the most votes, 3,817, for the best turkey team name part of the competition by reaching out to family and friends via Facebook, and requesting their support in our quest to win more money for our charity. We thus won another $2,500 for this part of the competition. The team donated the entire $5,000 to the Northwest Special Recreation Association located in Rolling Meadows, an organization that promotes recreation for children and adults with disabilities. The entire team should be very proud of this great accomplishment! 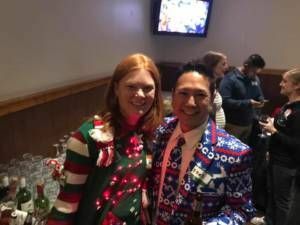 The BWRC 2nd Annual Holiday Party was held on December 6th at Real Time Sports in Elk Grove Village. I remember walking in and being offered a name badge, and I thought, “this is like “Cheers” where everyone knows your name!” However, with approximately 100 people in attendance, it was wise to slap a name badge on. Somehow I ended up with Shalane Flanagan as my given name that night. If I could be so lucky, but my luck is being a member of this group. I was so proud to see many members I know, get the first round of BWRC Awards. If you’re like myself, you may have gotten caught up in the celebration, without remembering who got what so I would like to recognize once again the following winners. Just walking through the door, I felt energized to see so many people donating items to Palatine Food Pantry thanks to Tim and Julia McDonald for coordinating. The positive support and spirit of this group goes beyond the mechanics of running; it’s in the caring and compassion we show each other. And heck, like the Cheers Crew, we do like a nice bar to meet up at! Till next year!